Pay too little and you risk a dodgy product and no after-sales service. Pay too much and youll end up waiting 10 years just to recoup your cost! In this article I'll show you how to untether from the grid, and avoid a smelly, noisy, fuel consuming generator except in extreme weather conditions. It can be pricey for a good system, but you'll have minimal ongoing expenses, unlike fuel and maintenance on a generator. The less power you consume, the less power you will need to generate, keeping the system costs down. It's important to start with conservation. As environmental awareness and the trend toward the adaptation of sustainability practices become common in corporate America, the academic world is placed in a unique position to make a significant contribution to this trend by providing education and training that responds to this trend. Constructing a solar-powered light in a jar is a great project to do with kids. It can be done at home, or in a classroom, with simple materials, and will serve to give them a good understanding of how solar energy is used. New technology is the "white horse" of affordable solar. Many customers hear or assume that technology is always going to improve over time and that will in turn bring down prices. The technology that we're using today is the same that we've been using since 1960 and it is the most efficient way to capture the unlimited, free, clean energy from the sun. Green Plug believes the time has come for a reusable, multi-port power supply that can provide a universal power interface for all electronic products. 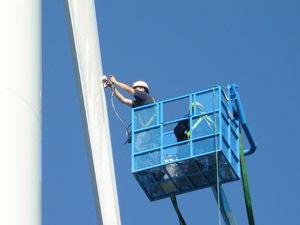 The company is also taking a stand for setting a worldwide DC power standard. The Half Program has proven to be a very good investment - we spent a total of $7,525 for all the energy reduction projects, and we are saving $4,007 per year in energy costs! 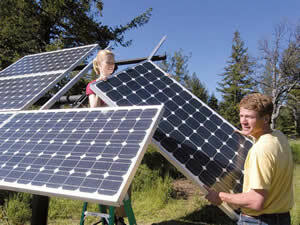 You are an excellent candidate for a solar electric system if your electric bill is over $75 per month, you pay more than $0.12 per kwh for electricity, your state offers substantial rebates for solar electric systems, and you have good solar exposure. Spending a few minutes with this software can provide as much education as reading several books on energy saving construction ... in real terms ... with your own house as an example. The tips provided along the way are very helpful and having the "Energy Efficient House" costs listed gives you a great target to shoot for. The Submeter shows you where electrical power goes in your apartment building, office, marina, or RV park! Do you have a "smart house"? A submeter can track all of your branch circuits and report power anomalies. Read and control from any internet connection.